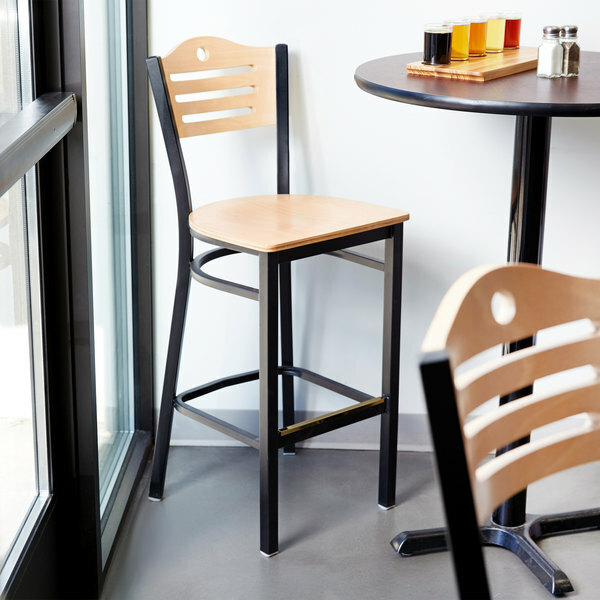 Complement the contemporary, yet comfortable feeling of your restaurant, bistro, or sports bar with this Lancaster Table & Seating natural finish bistro bar height chair. 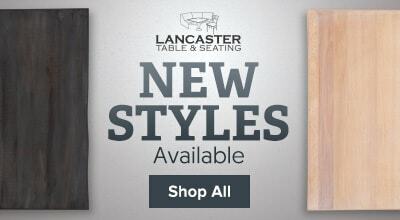 This Lancaster Table & Seating natural finish bistro bar height chair has exceptional quality and impeccable craftsmanship, made of natural wood, a style perfect for your establishment. 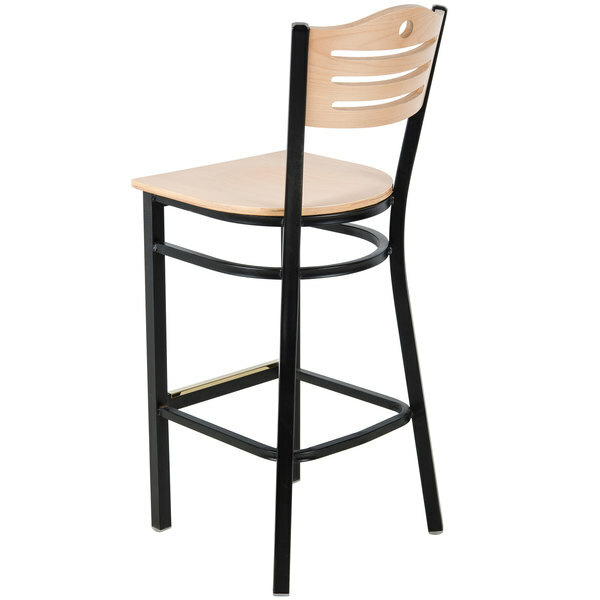 "These are very beautiful bar height bistro style chairs! Good for sports bars and pubs! Very well built and sturdy! 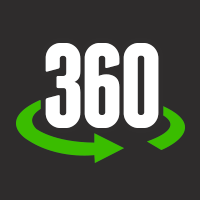 Great price compared to others!" 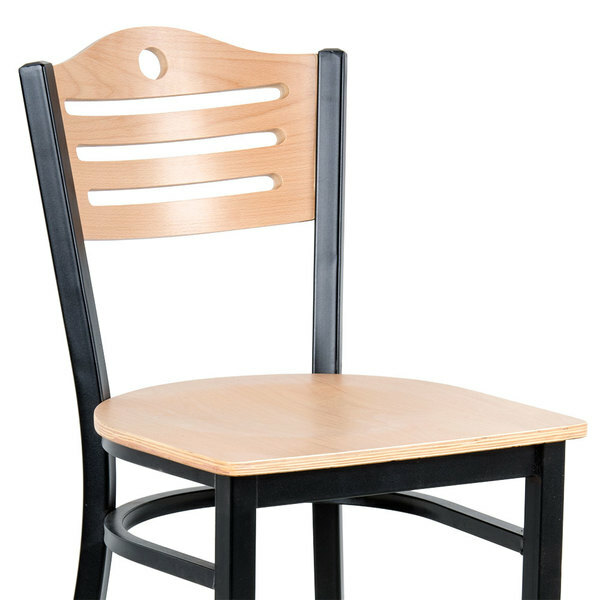 The natural wood eagle back style gives a simple, yet elegant style to any establishment, perfect for not only your guests’ comfort but for added stability with a 300lb weight capacity. The heavy duty bar height bistro chair's seat and eagle back style backrest are made of wood, which is laminated and formed for added comfort and support. 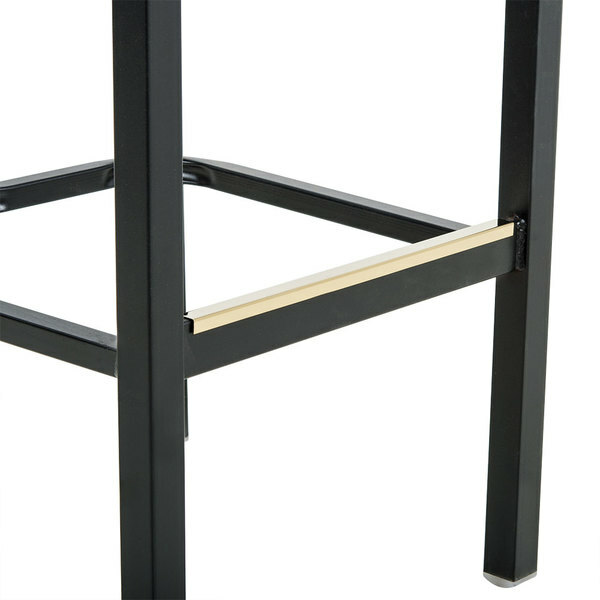 The high-carbon steel frame is sure to stand up to constant use and will stay clean with the frame's stain-resistant powder coat finish. 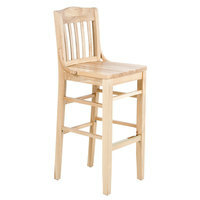 For additional user convenience, this chair comes assembled so it can easily be moved from one destination to the next! 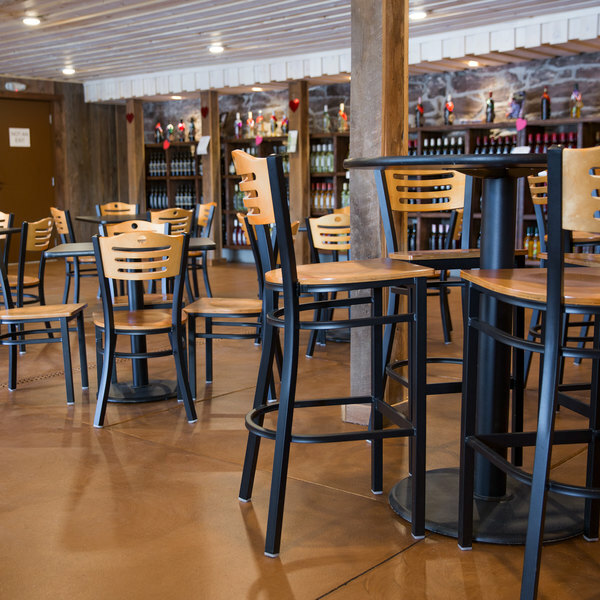 Set up the layout of your establishment with ease! Love these, we ordered 8 total for our bar. The only complaint is have is that one of the stools arrived missing the leg stopper on the bottom and I have been everywhere looking for a square leg stopper to fit the bottom with no luck. Other than they are great, just one is super wobbly. 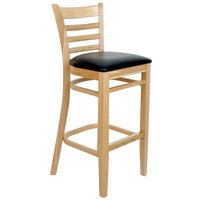 We have used these bar-height stools for almost 2 years, and they are holding up nicely. Of the 30 we have, only 2 have visible wear/tear. 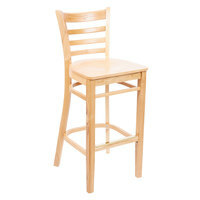 The back of one stool had the veneer rip near the hole (see photo). It's pretty simple to "fix". I sanded the surface lightly to make sue it wouldn't snag/rip someone's shirt or sweater. Overall we are happy. These are a great value. We use these for our tables near our front window. So far no issues - they are comfortable (especially on your back) and customers have commented that they look nice. 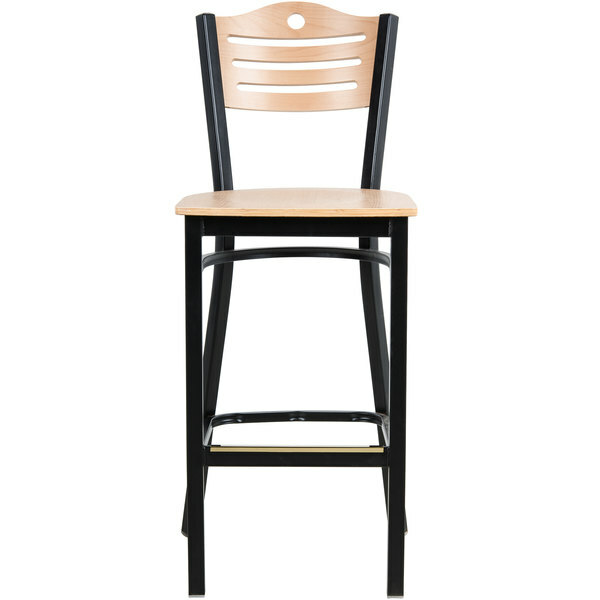 This Natural Finish Bar Height Bistro Chair is a beautiful chair. 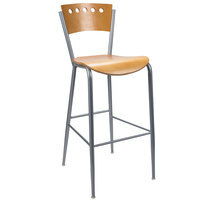 Its color is great, the height is perfect to be comfortable at any bar. 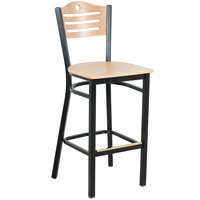 These are very beautiful bar height bistro style chairs! Good for sports bars and pubs! Very well built and sturdy! Great price compared to others!